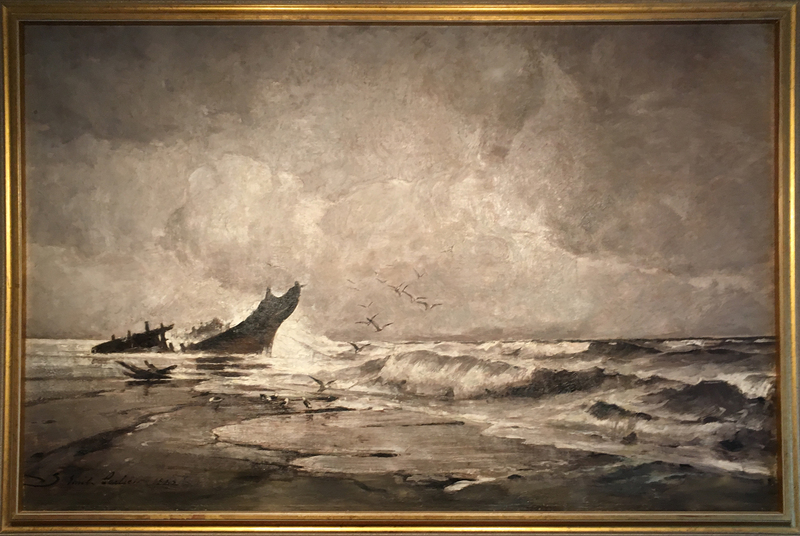 Emil Carlsen : Nantasket Beach Nor'easter, 1882. Text: ‘S Emile Carlsen 1882.’. – Contacted by current owner on November 10, 2018 and sent image via email id#CAGpCQrKX_1xyEayx2zujMuxEpv=EirWT4CvcE5qhaW4PhL_W3Q@mail.gmail.com.